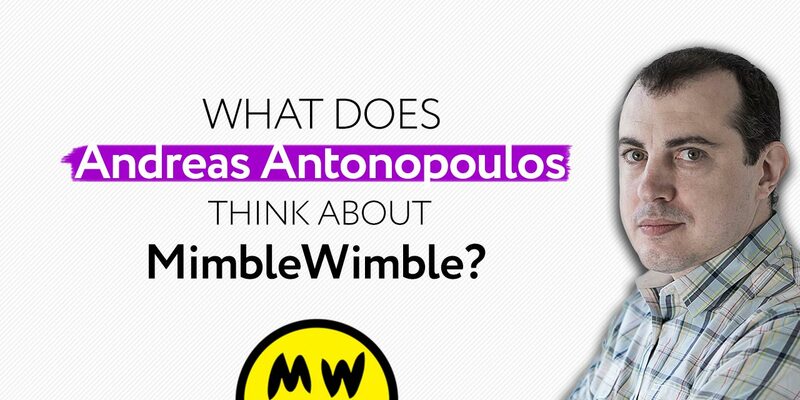 The go-to voice of Bitcoin and Blockchain, Andreas Antonopoulos has put in his two cents surrounding the much-hyped Mimblewimble project in a recent interview. Grin was just launched January of this year and Beam in 2018. Grin received lots of compliments for its great start and its approach to the decentralization model. MW was first brought to life by an anonymous person under the pseudonym, Tom Elvis Jedusor, the French name for Harry Porter’s Lord Voldemort) in 2016 along with a team of anonymous developers. Antonopolous described the project as a whole claiming the protocol allows the optimization of scaling and increased privacy while making transactions. It removes unnecessary information with regards to transactions made on the protocol allowing more transactions to be made on the platform. Context Grin Sees Price Leap: Is it the New Bitcoin 2.0? The Professor of Bitcoin has appeared to give a good review of the project and hopefully, this can give people a greater insight into the nuanced and often mysterious MW project.